With a focus on continuing to find speed each week, Wally Wilson walked away from his sophomore OSCAAR Modified campaign with a 10th-place finish in the standings. After placing 10th in the standings for his rookie campaign, the Owen Sound driver had a focus on repeating, or bettering, those results for 2018. Coming in with the approach to simply learn more, he ultimately achieved those goals by season’s end if you look at the results. Each track the series visited this year saw him better his performances from 2017, with the ability to remain on the lead lap throughout several events despite fighting pace issues at times. Admittedly, the sophomore hit some snags mid-season when he made significant contact with the wall during practice at Jukasa Motor Speedway in June. 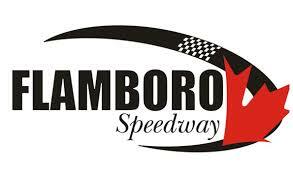 There were also other events, like Sunset Speedway’s Velocity 250, in which he’d fail to finish due to mechanical issues. Still, Wilson did not let that deter him as his spirit remained high from the season opener to the last race. Wilson would score six top-15 finishes on the season, including a career-best ninth-place finish at his home track of Sauble Speedway. While he had success on the track, he also represented the series strongly across all social media platforms, while supporting causes like #Burnoutthebully and Laps for Muscular Dystrophy. Wilson’s success is something that he is personally proud of, as well as the current direction of the modifieds.